In September, Premier Gladys Berejiklain announced that $2.6 billion public dollars would be spent on the Sydney Gateway that would allow drivers to travel from Parramatta to Sydney’s airport without going through a single traffic light. The statement was clear but also a lie. In fact, there are countless documents that describe the Sydney Gateway or, as it was originally named, the Airport Link, as part of WestConnex. The day before the Premier was interviewed in August last year, the Minister for WestConnex Stuart Ayres finally admitted under questioning from Labor’s Shadow Minister Jodi McKay, “The question related to Sydney Gateway, which is not part of the WestConnex portfolio.” In a brazen rewriting of history, he declared that the final stage of WestConnex had always been the M4/M5 link between Rozelle and St Peters. That was also a lie. Just three months previously, the RMS CEO Ken Kenofsk had given evidence under oath before a NSW Parliamentary Inquiry into Road Tolling that the Sydney Gateway was part of WestConnex (See below). There is an ample paper trail demonstrating that an airport link was part of WestConnex from 2012 until at least the end of 2015. The circumstances in which the Sydney Gateway to Sydney airport disappeared out of WestConnex is one of the terms of reference for the Inquiry into the Impacts of WestConnex that is being held by the NSW Legislative Council Public Accountability committee. 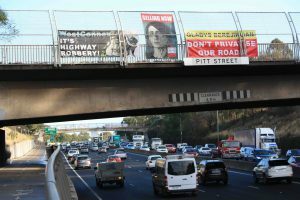 WestConnex is enmeshed in a myriad of conflicts of interest and secrets but even in that context, Sydney Gateway stands out as the canary in the coal mine. With the power to call witnesses and for documents, the inquiry should be able to uncover more of its hidden history. Enter Christopher Swann, a division director at Macquarie Bank, where he had been working for 8 years. In July 2011, Swann was appointed to Infrastructure NSW (INSW) to work on the development of WestConnex and other projects, under the chairmanship of Nick Greiner, a strong supporter of tollways. According to the INSW Annual report, Swann was the second highest paid executive after the CEO Paul Broad. In December 2012, Macquarie Capital was awarded a 58 year contract to work on the financial scoping of WestConnex. When the NSW government set up the Sydney Motorway Office (SMO) to plan WestConnex, Swann was chosen to represent INSW in the SMO which was tasked with developing the first preliminary WestConnex business plan. The Sydney Motorway Office invited a number of companies to help plan WestConnex. One of these was infrastructure giant Lendlease, which was granted $2,489,507 to undertake an Airport Access Link Reference Design between January and April 2013. The Inquiry should call for this document. According to his Linked In profile, in January 2014, Swann shifted to the Westconnex Delivery Authority (WDA) to head the New M5 project, which at that stage included the Airport Link. In September 2014, Swann signed the New M5 application to NSW Planning which on page 1 described the Sydney Gateway as a component of Stage 2 WestConnex but on page 23, is described as part of Stage 3. In October 2015, Swann made another move from the WDA back to RMS where according to his linked in profile, his job was to "Responsible for completion of business cases for Western Harbour Tunnel, Northern Beaches Link, M1 Princes Motorway and the client role for the WestConnex M4-M5 Link." This is a little odd because those business cases have never been released to the public. The WestConnex Strategic Business case, which was finally released in November 2015, contained many references to the Sydney Gateway. It was part of Stage 2 but would be delivered in a ‘similar time frame for Stage 3’. The reported stated that ‘ timeframes may change. At the latest, it will open by 2023.’ This was an early sign that there could be obstacles in the way of the project. The WestConnex Delivery Authority morphed into the private Sydney Motorway Corporation. When its CEO Dennis Cliche was interviewed in December 2016 by the SMH, he talked about ‘negotiating around properties’ and a need to move the rail link from Port Botany. Big problems acquiring a route for the Gateway project were coming into starker relief but Cliche still talked about ‘we’ - meaning the Sydney Motorway Corporation. In January 2016, the WestConnex Stage 3 proposal was lodged with NSW Planning. Page one of that document described the Sydney Gateway as part of WestConnex. But something had shifted. SMC contracts were secret but a search of NSW tender database reveals that a $1 million RMS contract was awarded to project management firm MBB Pty Ltd from February 2016 until October 2018 to manage roads for the Sydney Gateway. Did anyone inform NSW Planning that a material fact had changed - Sydney Gateway was no longer part of WestConnex? On March 6 2016, then Minister for Roads Duncan Gay met with the Sydney Airport Corporation to discuss traffic around Sydney Airport. What was discussed about the Sydney Gateway at that meeting? The Minister for Roads Gay met with the Sydney Airport on June 16 and with Lendlease on June 17, 2016. ( He also met with Transurban twice in May.) What was discussed at these meetings and who was present? Gay again met with Sydney Airport on December 15 2016. A month later he was dumped from Cabinet and replaced by Melinda Pavey as Minister for Roads and a Minister for WestConnex Stuart Ayres. He announced his retirement from politics in May 2017 and is now a roads consultant. In January 2017, Christopher Swann left RMS and joined Capella Capital, a partner firm of Lendlease. Now both Swann and De Souza, who between them held many inside secrets about WestConnex, were working for Lendlease. 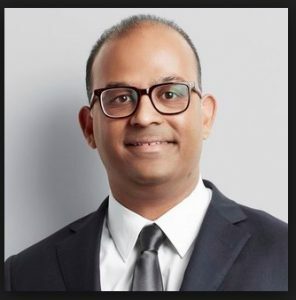 Lendlease confirmed that Swann recently left the company but De Souza is still the head of NSW Infrastructure projects. Swann and De Souza could provide lots of useful answers to the Inquiry as it seeks to discover the timing and circumstances in which the Gateway was separated from WestConnex. According to his Ministerial diary, the Minister for WestConnex Stuart Ayres met with Capella Capital and Lend Lease on May 19, 2017. Three days later, RMS CEO Ken Kenofski and then SMC CEO Denis Cliche appeared before the tolling Inquiry. They were questioned by Labor members Dan Mookey and John Graham about the Gateway. There was no suggestion in their answers that the Gateway was not part of WestConnex or that it was not included in the $16.8 billion WestConnex budget. Did these witnesses know the Sydney Gateway was no longer part of WestConnex? Were they misleading parliament? MR CLICHE: As you know in the business case there is a design and that has been factored into our revised business case. That design is being further refined by my colleague at RMS and perhaps at this point I will pass it on to him. Mr KANOFSKI: There was a design that was released. We are working with in particular SydneyAirport and other key stakeholders in that area to refine that design. When we have completed that that design will be released publicly. JOHN GRAHAM: When is that likely to be? Mr KANOFSKI: When it is finished. KANOFSKI: It will be finished in time for the project to be built by 2023 to coincide with the M4-M5 link. ( More at Hearing Transcript page 56. Minister Ayres again met with Lendlease on June 8, 2017. Who attended these meetings? Was the Sydney Gateway discussed? Were WestConnex contracts discussed? (You can find Ministerial Diaries here ). Two months later, on August 9, 2017, Minister Ayres finally admitted that the Gateway had dropped out of WestConnex. On August 10 last year, the SMH reported that according to a document leaked to NSW Labor, the cost of the Sydney Gateway had blown out from $800 million to $1.8 billion. At the time Premier Berejiklian disputed the fact that the Gateway cost had increased "when the final business case hasn't happened yet". This answer was designed to mislead. The cost has now been revealed to be around $2.6 billion and it's not even clear of how much of the huge amount of RMS work around the airport that figure includes. There is still no business case for the Sydney Gateway. 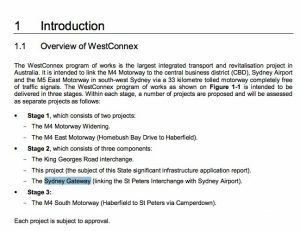 When the Stage 3 M4/M5 EIS was filed with NSW Planning in August, the Sydney Gateway was now no longer described as part of WestConnex but as part of ‘other projects’ along with the Western Harbour Tunnel and the F6. Did anyone in NSW Planning ask for an explanation of what changed between the Stage 3 application and its EIS? On September 4, 2017, the ABC reported that Lendlease had submitted an unsolicited bid to build the Sydney Gateway, which would be likely to carry an extra toll. The Minister for Roads Melinda Pavey refused to comment. Two days later when asked when she first knew that the Gateway was not part of Sydney Gateway, she said that “when we started to do the homework it was very clear that the definition of WestConnex, and to the Sydney Motorway Corporation, was the 33 kilometres of tunnels that finished at St Peters interchange. “ The public might like to know who provided her with the information for her ‘homework’, which was not consistent with available facts. In Budget Estimates last year, the Department of Transport Tim Reardon tried to make this extraordinary process seem normal. “As we said, it is six years away from now. We will go through the normal steps we would go through for any major project…” He didn’t mention that the project was already supposed to have undergone 6 years of work costing millions of dollars for no result. On November 13, 2017, the Sydney Morning Herald reported that the Government had rejected the Lendlease bid because the project would have required a large equity contribution or high tolls. What were the real reasons behind this decision? Was it that a fresh tollway would have been too much to sell to an electorate that was already angry about tolls. But there was also good news for Lend Lease when on June 13, 2018, Lend Lease was awarded the huge contract for the M4/M5 project between Haberfield and St Peters, which was amongst the projects that Christopher Swann worked on until he left the RMS. It is also the major player in one of two consortiums selected to construct the never before attempted three-level underground exchange at Rozelle for which the public will shoulder very high risks. $800 million of the $2.6 Sydney Gateway is supposed to be sitting in the WestConnex budget. That another $1.8 that needs to be found. If the Sydney Gateway had remained in WestConnex that $1.8 billion would have blown the budget out from $16.8 billion to $18.6 billion, which would have been unpalatable news in 2016. So was it easier to remove the Gateway from WestConnex, sell 51% to Transurban and throw the Gateway in as an untolled sweetener, without telling the public until after the sale. From reports so far that seems to make sense. Like the F6 down South, the Sydney Gateway will be seemlessly linked into WestConnex. Who, when and why was the Sydney Gateway cut off from WestConnex? What are the reasons why NSW government ministers have resisted telling the public the truth about the Sydney Gateway? What was discussed at the meetings with Lend Lease and Sydney Airport? Why is it that the link to Sydney Airport that was supposed to be a rationale for WestConnex has taken six years to get to today’s concept announcement? Did the advice of Lendlease and other private companies invited to plan WestConnex in 2013 contribute to future problems? Was Transurban promised that the NSW government would throw in the Sydney Gateway when the WestConnex sale deal was sealed three weeks ago? RMS has determinedly stuck to the figure of a $16.8 cost, even when that seemed hihgly unlikely. Was the real problem that the Sydney Gateway was going to blow the budget for WestConnex out beyond $16.8b and add another unpopular toll, so the decision was made to privatise SMC without it, and throw in the Sydney Gateway later to enhance the traffic and sweeten the deal? What is the real nature of the deal that the privatised Sydney Airport has been able to gouge from the government? How have private interests captured transport planning? Behind all these questions is a much bigger issue about whether private interests have been allowed to take over transport to the detriment of the public interest. It's now over to the Parliamentary Committee for Public Accountability to hold the government accountable. Hearings begin on October 9. Here's a copy of my full submission. It's number of 469 of nearly 600 submissions. Some extra details relevant to the Sydney Gateway term of reference are found both in this story and in the submission.